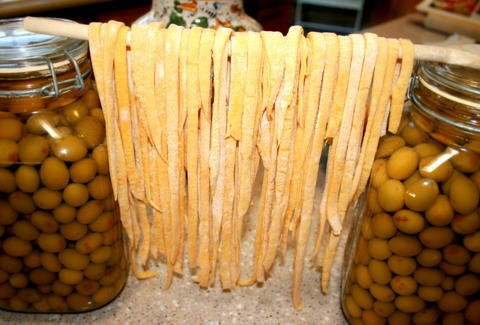 Tomorrow is National Pasta Day. Here's where to go, San Francisco. Tomorrow is National Pasta Day, that glorious day where gluten and carbs and everything delicious in the world are actually revered for a change. So you can spend it shoving only SF's best possible pasta in your face, here's a list of places that make, uh, SF's best possible pasta. Mangia! Though Danny Bowien moved on from Farina to do other things, like open Mission Chinese Food and get nominated for a bunch of James Beard Awards, his award-winning WORLD championship pesto remains, as does the chef who taught him to make it. 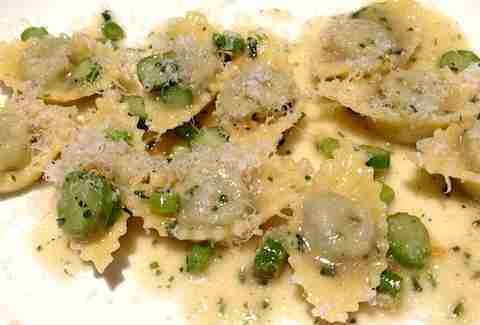 Yes, the prices are a bit spendy for a pasta dish ($24-$28), but it’s worth the splurge. Delfina’s been around for more than 15 years, but it’s still hard to get a table, and for good reason. The spaghetti with plum tomatoes, garlic, extra virgin olive oil, and pepperoncini is a classic you could easily overlook. Don’t. And get the larger portion. It’s not as impossible as it once was to get a table at Flour + Water, but the food is still just as delicious as it was when it opened. You’re going to want to order a pizza, but, just this once, skip it and go for the pasta tasting instead. It’s 65 bucks, plus another 45 for the beverage pairings, and the entire table has to participate, but it’s a carb-loading situation you won’t soon (read: ever) forget. 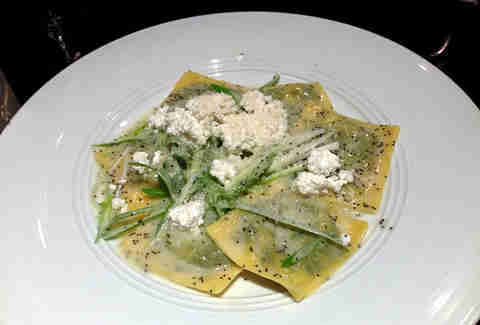 SPQR describes its food as "sophisticated, yet soulful". The first one means there’s probably some stuff on the menu that you'll be a little scared to try. The latter, that you'll be glad you did. You’re going there for the pasta, so get the five-course pasta tasting menu (available Tue-Thur). This is a pasta volcano. It has an egg yolk inside of it that explodes. 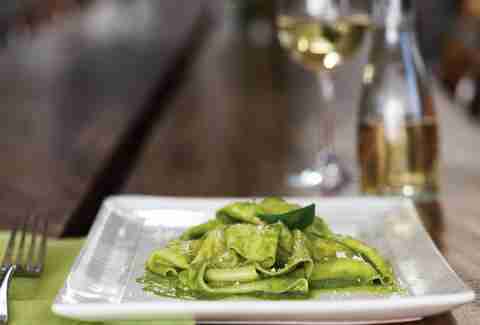 Eating in the Financial District can be kind of a bummer, but the wine and pasta at Perbacco will make you forget you’re dining next to people who wear suits to work. 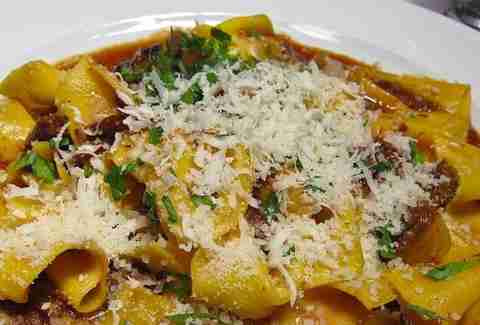 Order the pappardelle with slow-cooked short rib ragu and, though at this point it should go without saying, get the large order. 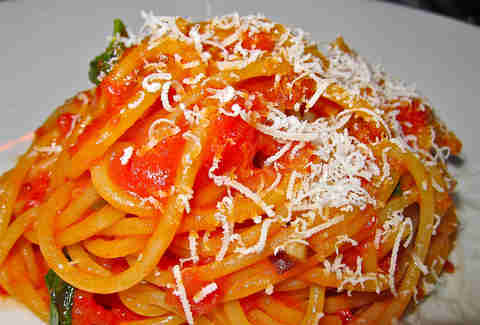 Daisy Barringer is Thrillist's SF Editor and she wishes every day were National Pasta Day. Also: National Donut Day, National Vodka Day, National Binge-Watching TV Day, and National Wear Your PJs Day. Follow her on Twitter @daisy.